Before, during, and after a critical event, receive timely localized emergency information–everything from weather alerts to available shelter locations delivered right to your mobile device. 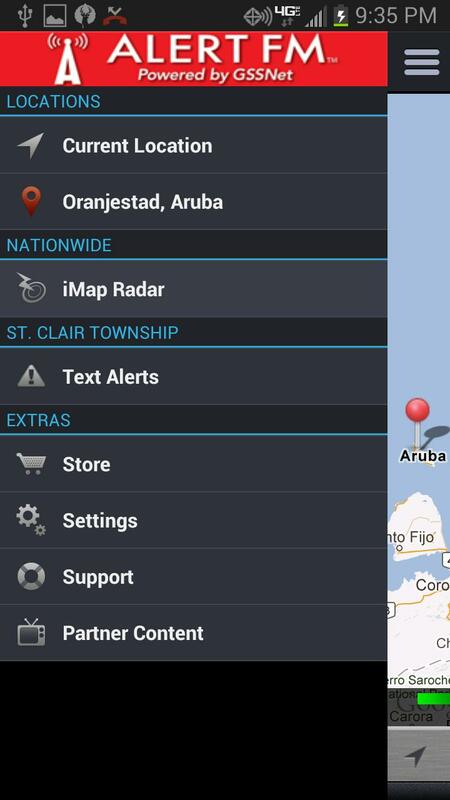 This powerful app integrates the functionality of the critically acclaimed iMap Weather Radio with the reliability of ALERT FM’s state and/or local emergency information. Via voice and push notifications, your device will “wake up” when a weather alert or ALERT FM warning is received. ALERT FM is a rapidly-growing network of state/ local emergency officials who use this service to notify their communities about emergency situations. This App will provide weather forecasts, current conditions and warnings for any location in the United States. Additionally, if you are in an ALERT FM area you will get information from your local emergency officials. Be warned about storm precautions and evacuations, hazardous chemical spills, major accidents and more. Simply download the free app, enter your zip code, and you will see if ALERT FM messages are available in your selected area. 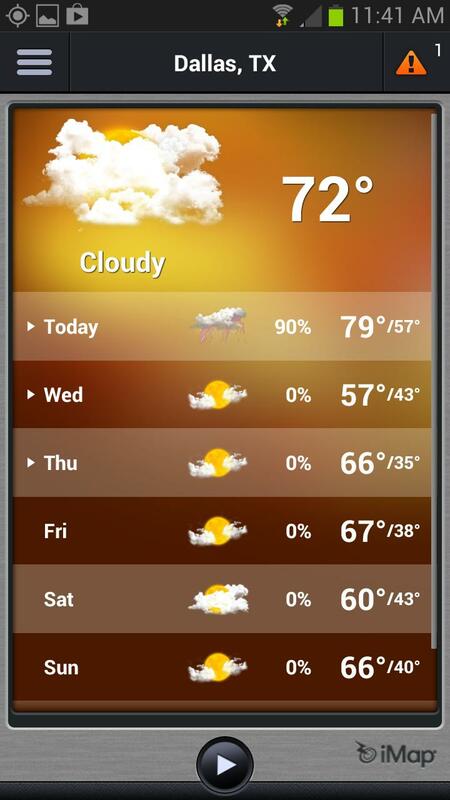 Even if they are not, you can take advantage of the award-winning functionality of the iMap Weather Radio in this app. So no matter where you go, or the time of day, you’ll receive critical information within seconds. The weather RADAR and weather alerts are U.S.-based. ALERT FM does not yet include Canadian RADAR or Canadian-issued weather alerts. Be Prepared. Be Vigilant. Be Informed with ALERT FM!